Mindy Kaling calls out Stephen Colbert for his inappropriate behavior on 'The Mindy Project' - trendistic.com: ever tried. ever failed. no matter. try again. fail again. fail better. 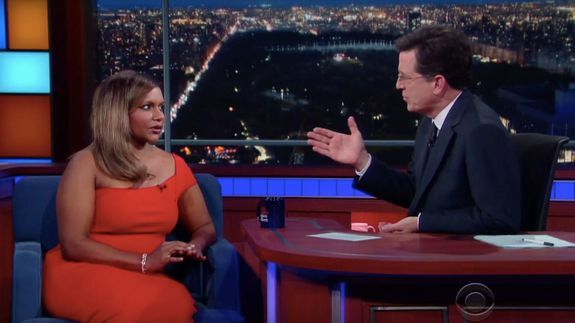 Actress Mindy Kaling stopped by The Late Show to give Stephen Colbert some tough love. In fact, she brought the blooper reel all the way from California to show the audience his inappropriate acting skills. Colbert admits his mistake, but doesn’t let Mindy go without firing back.